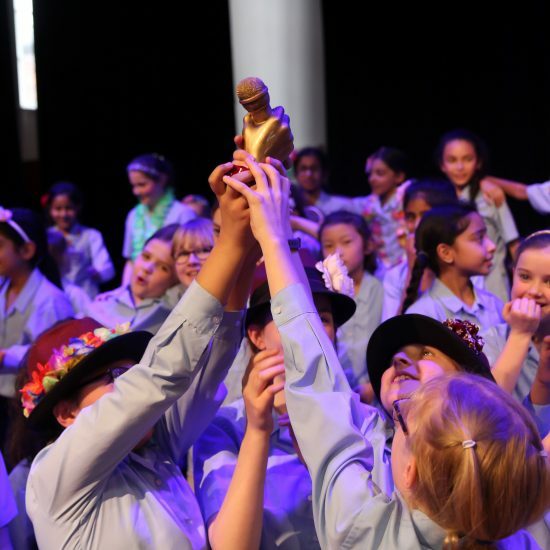 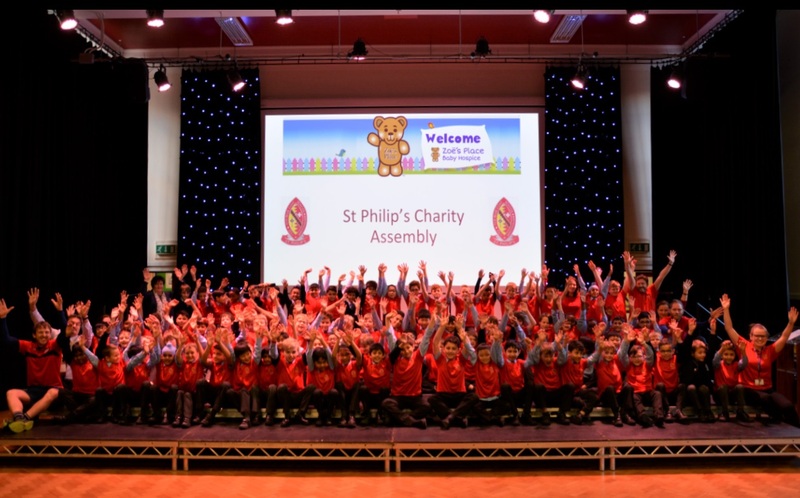 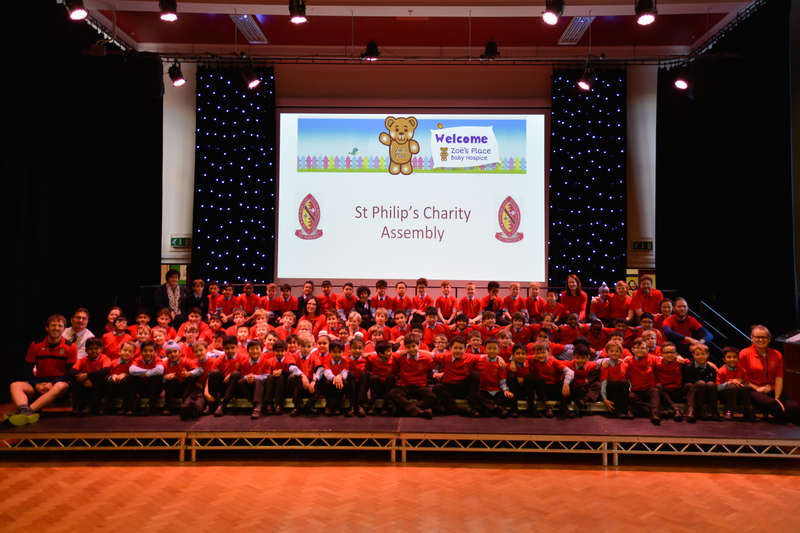 Zoe’s Place will be very proud of the fantastic work of St Philip’s House this week! 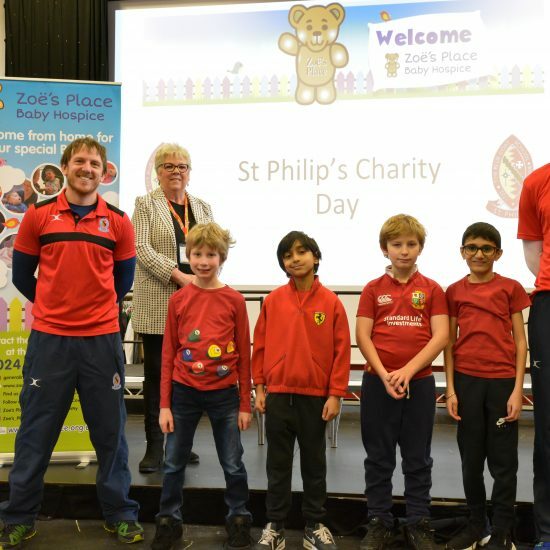 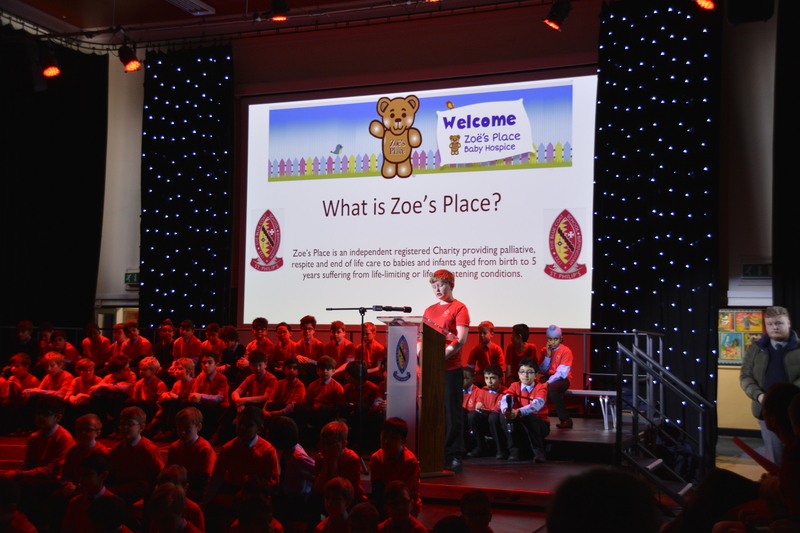 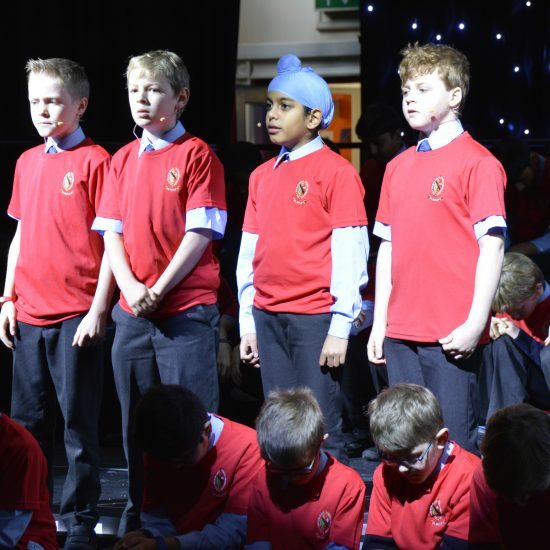 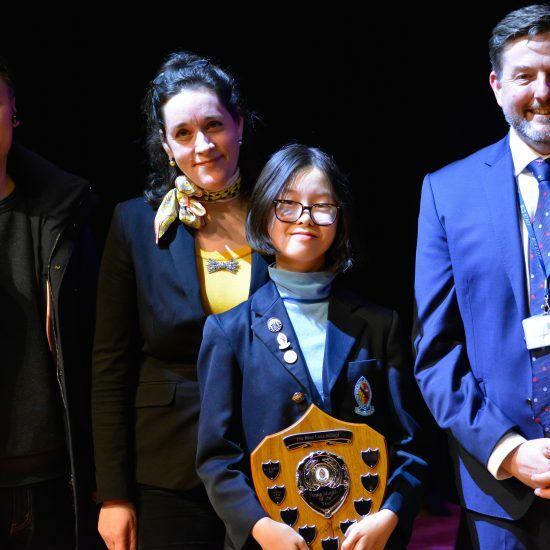 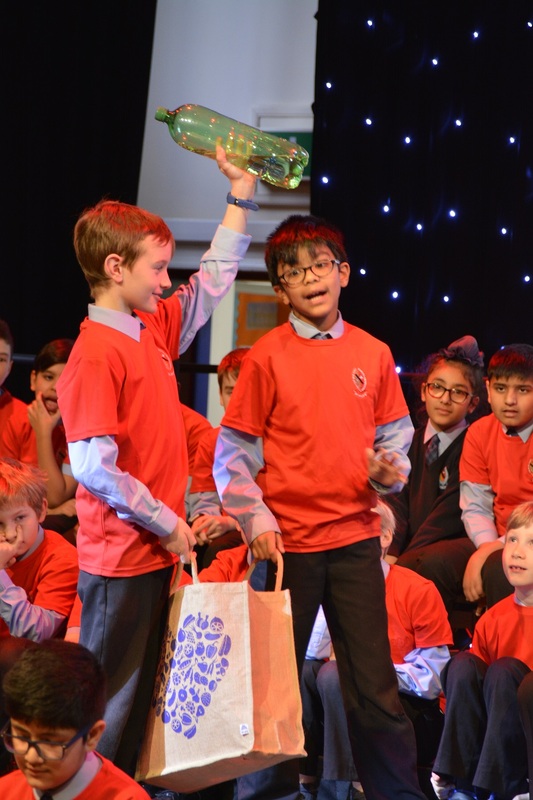 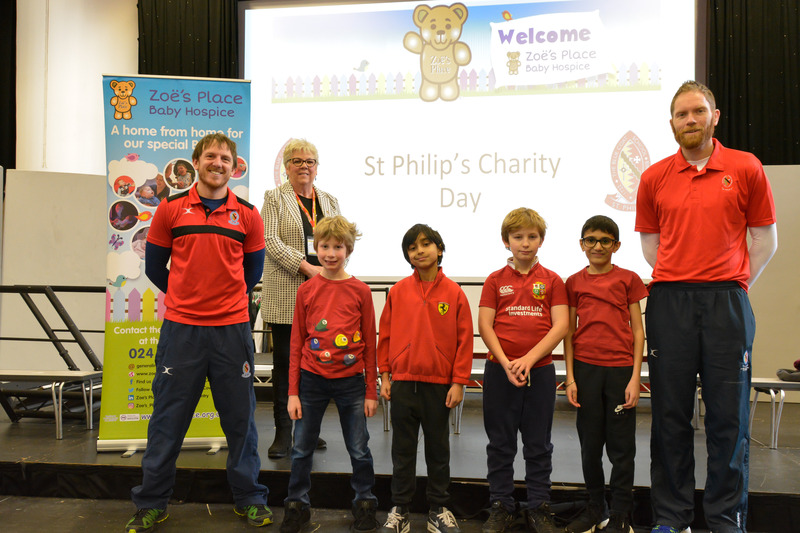 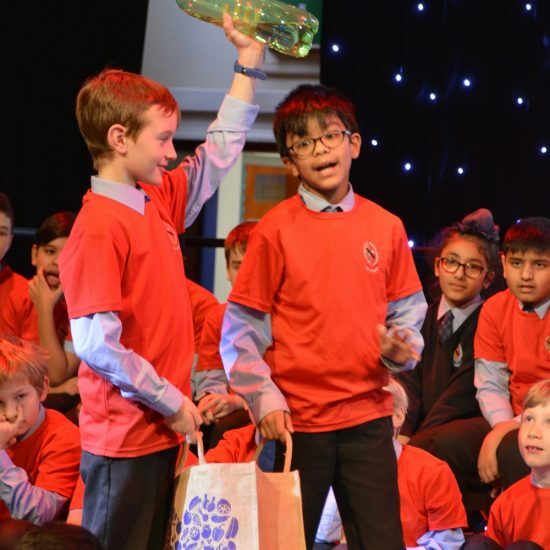 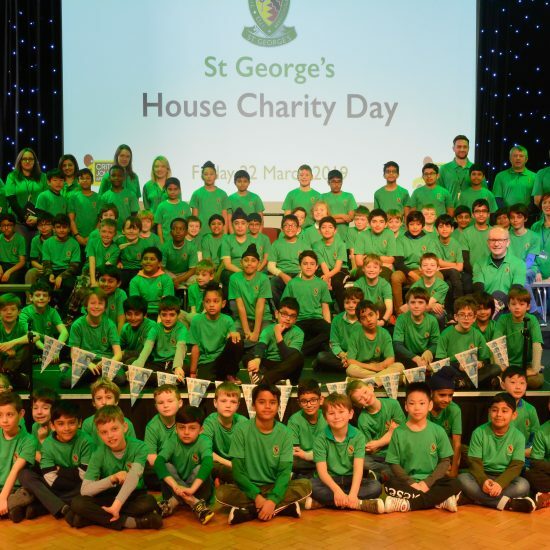 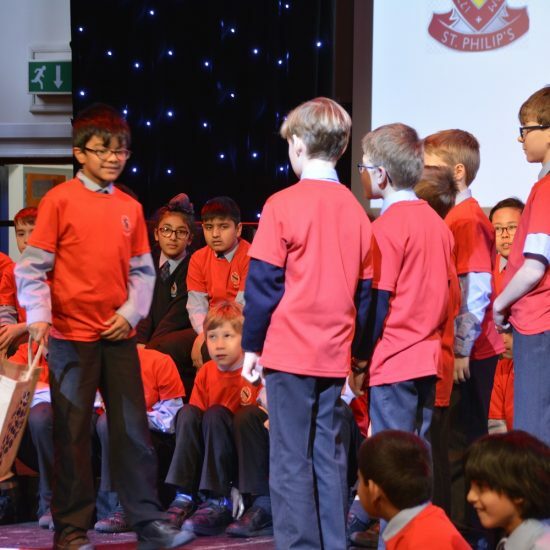 The boys started in style on Wednesday with a moving and thought-provoking assembly, telling us all about the wonderful work of Zoe’s Place. 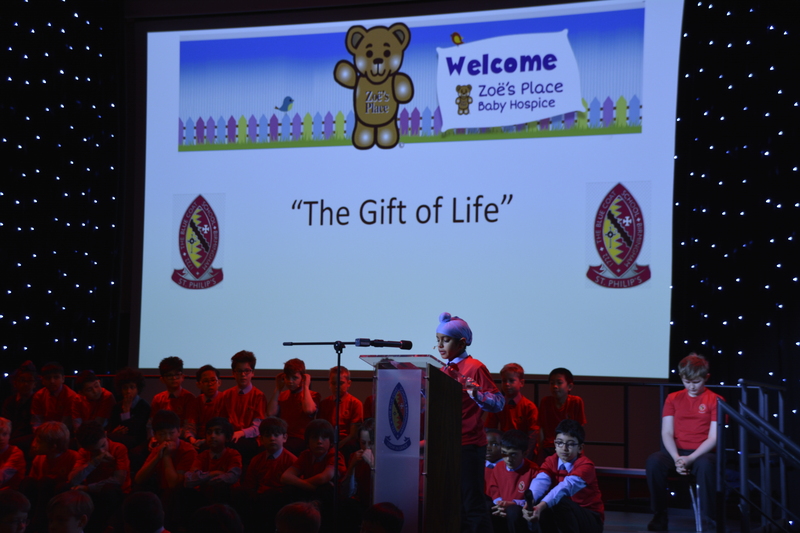 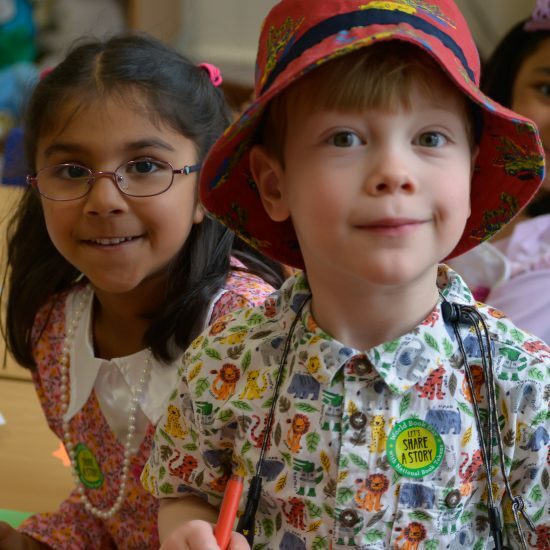 Set up in 1995, the charity provides much-needed palliative and respite care for babies and children from birth to 5 years. 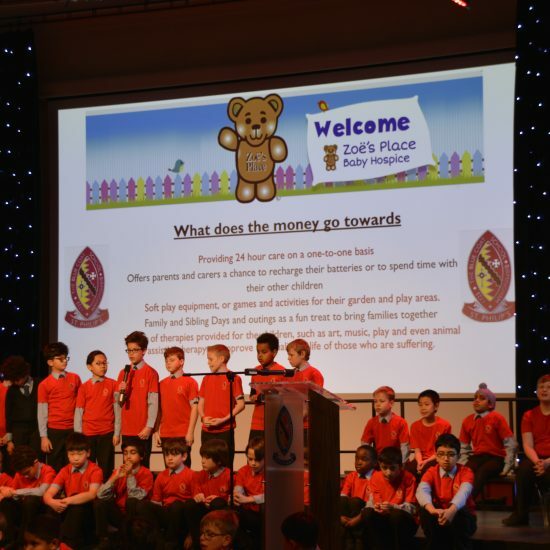 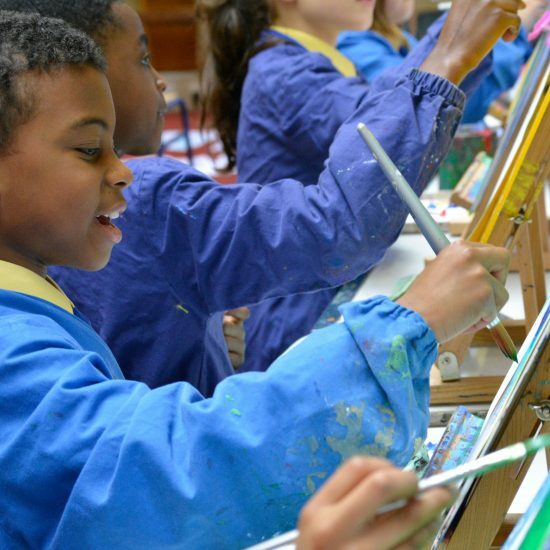 Zoe’s Place provides a welcoming and compassionate environment for children and families alike and the work they do is invaluable in providing the best possible care for these children. 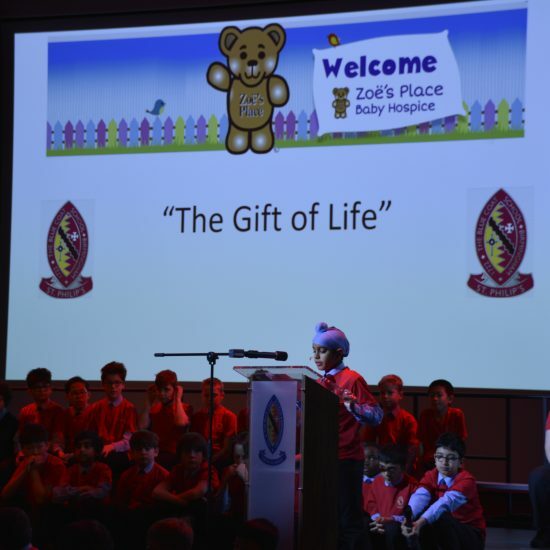 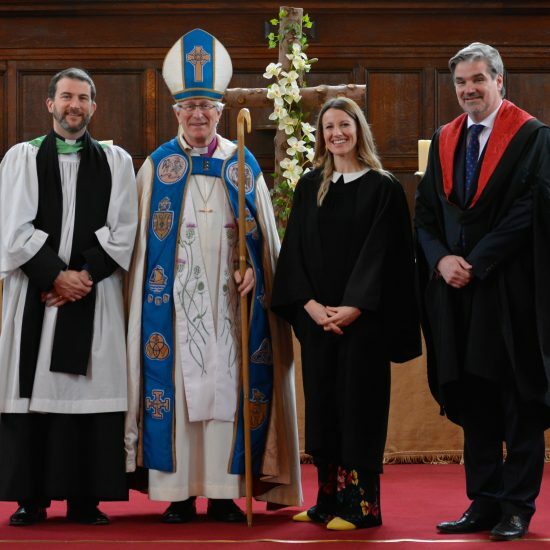 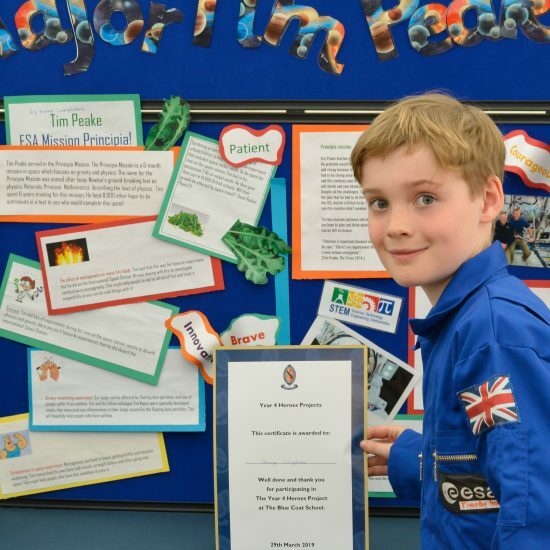 The services they provide are free to the families who use them, but Zoe’s Place relies entirely on fundraising efforts and contributions to keep their three hospices running. 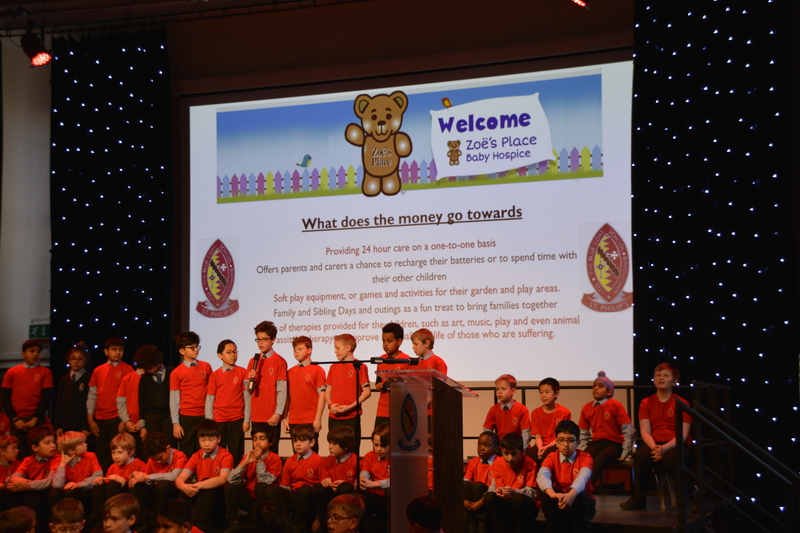 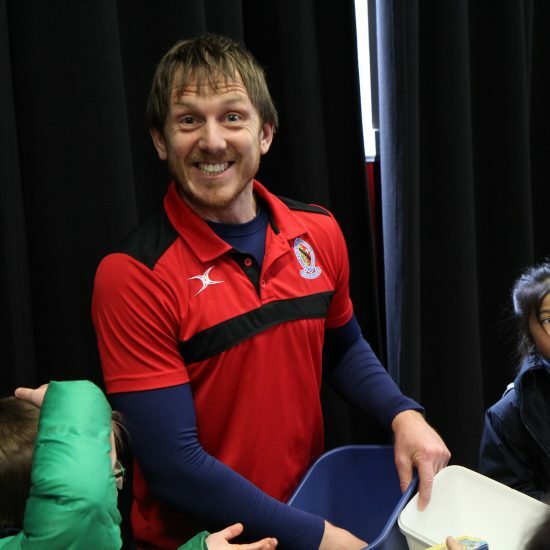 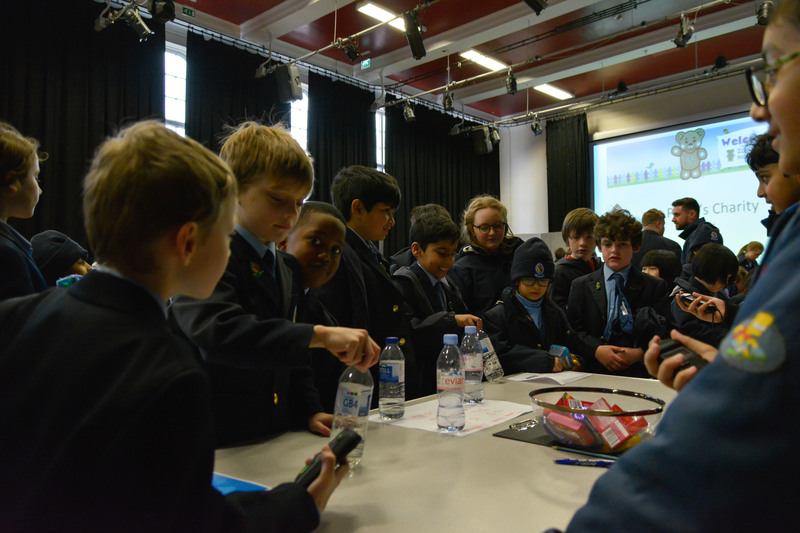 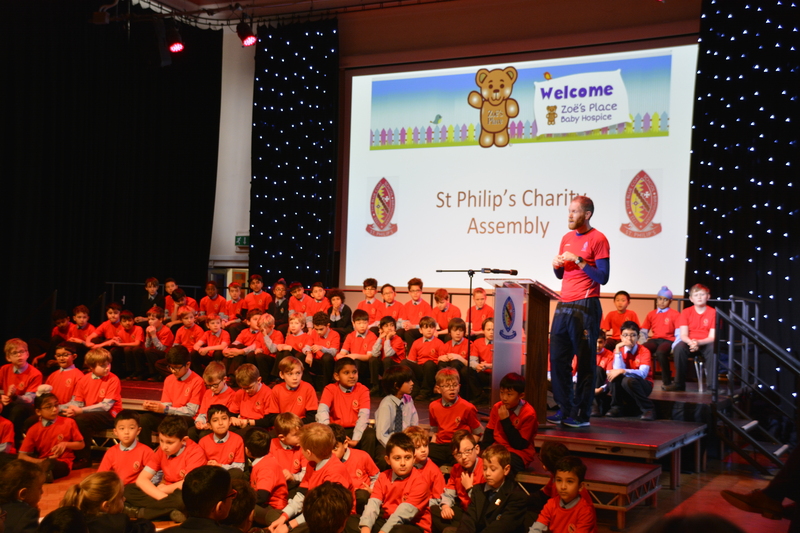 The boys spoke warmly of the work of the charity, and showed us how any money raised would be put to good use. 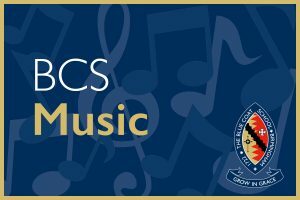 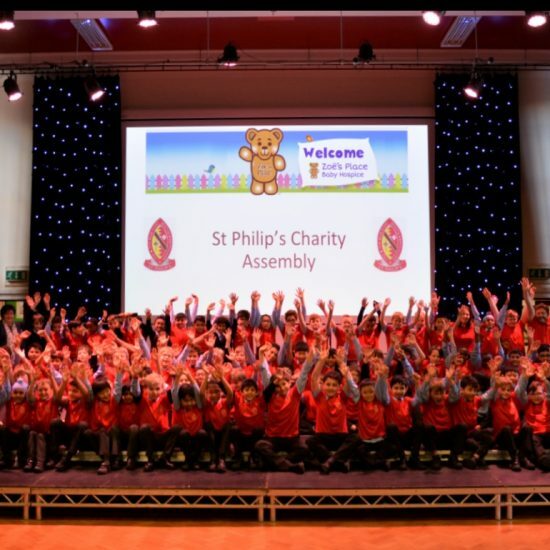 They then gave a heart-warming rendition of One Republic’s ‘I Lived’ to inspire us all to contribute to this fantastic cause. 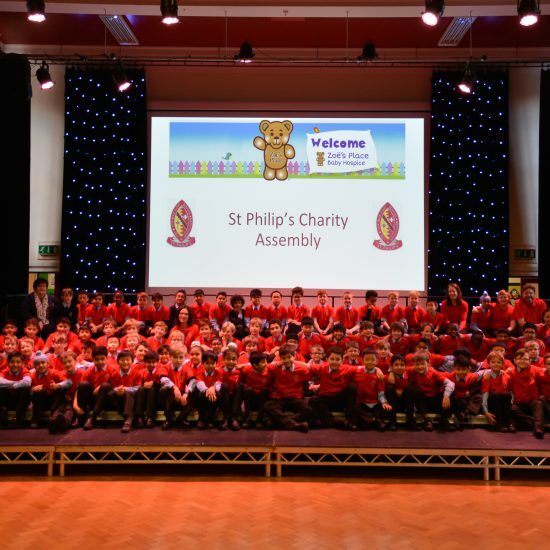 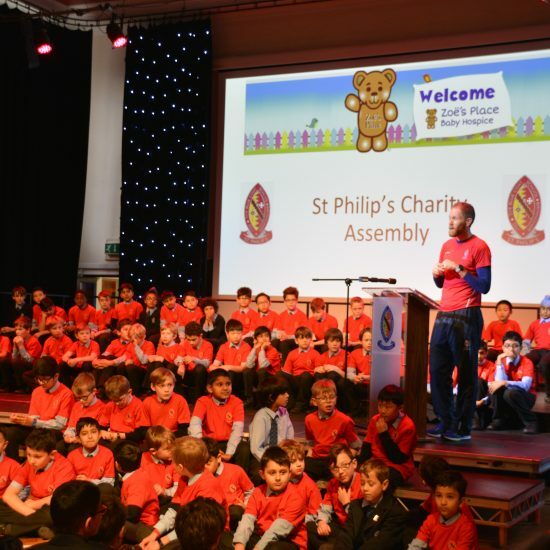 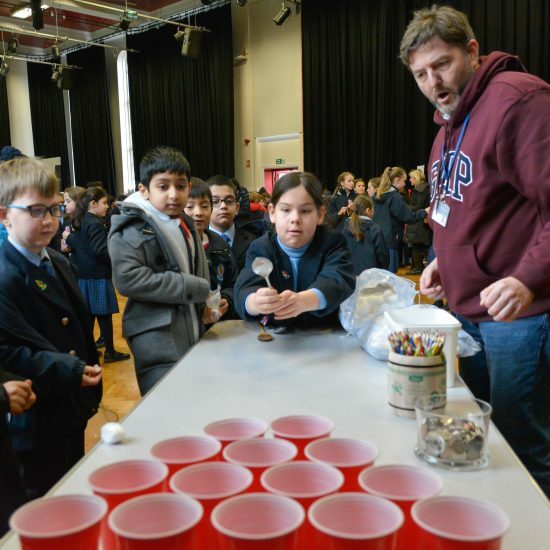 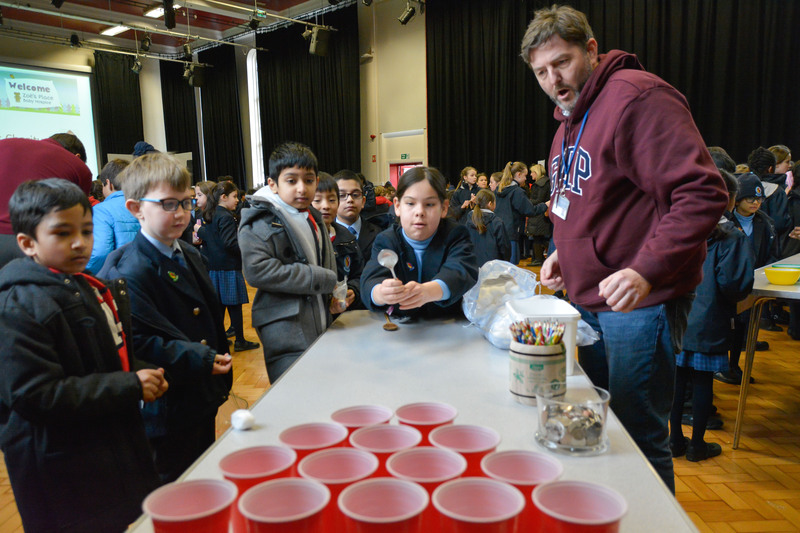 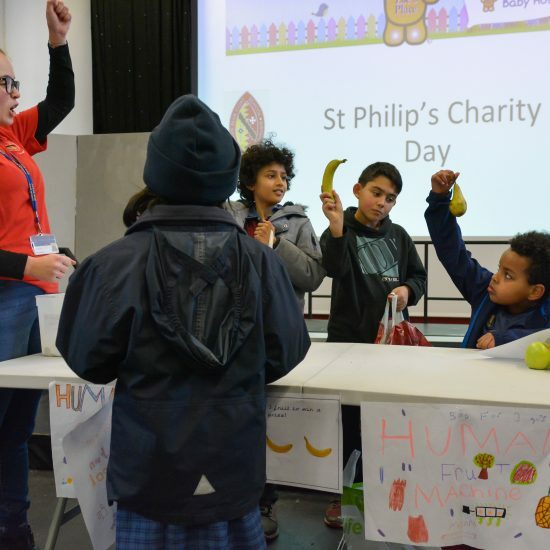 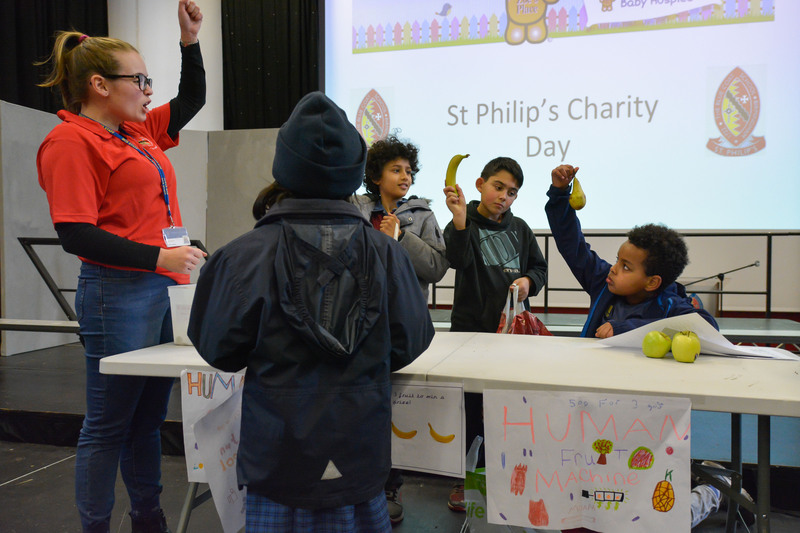 Today has seen St Philip’s come out in full force determined to raise as much money as possible for this wonderful charity. 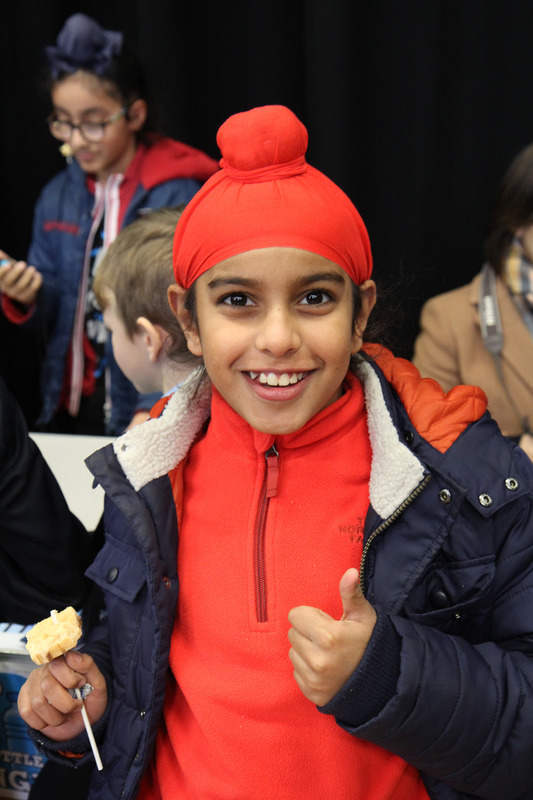 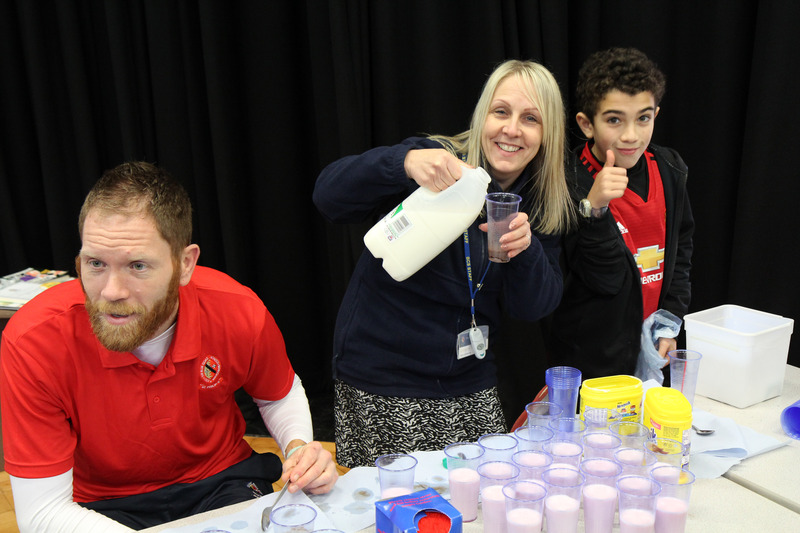 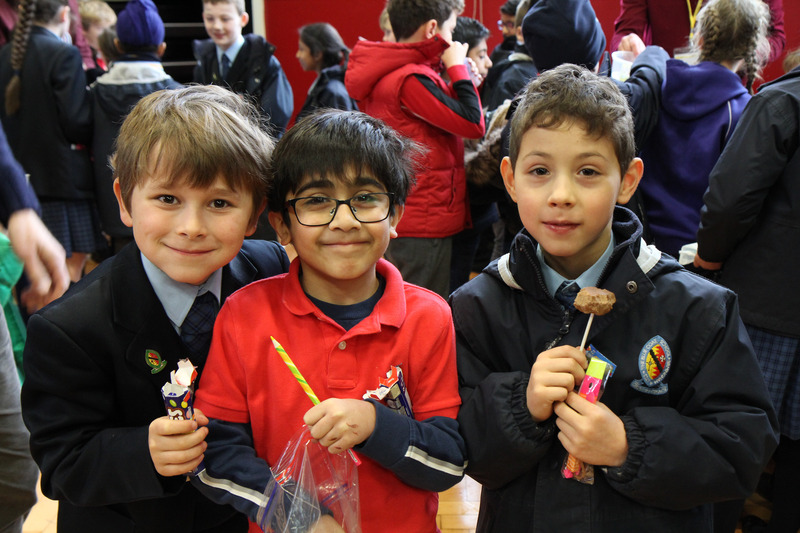 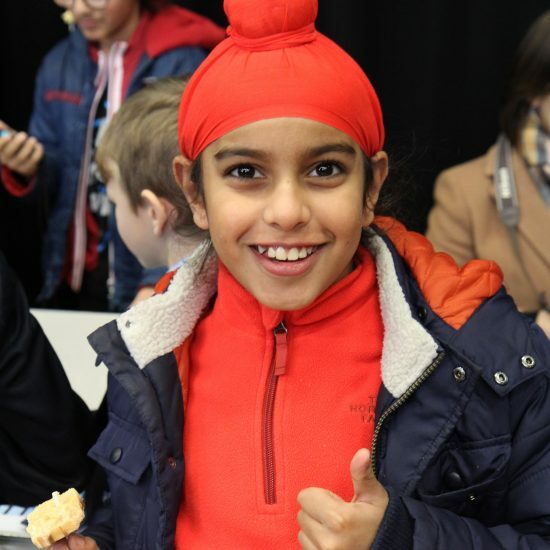 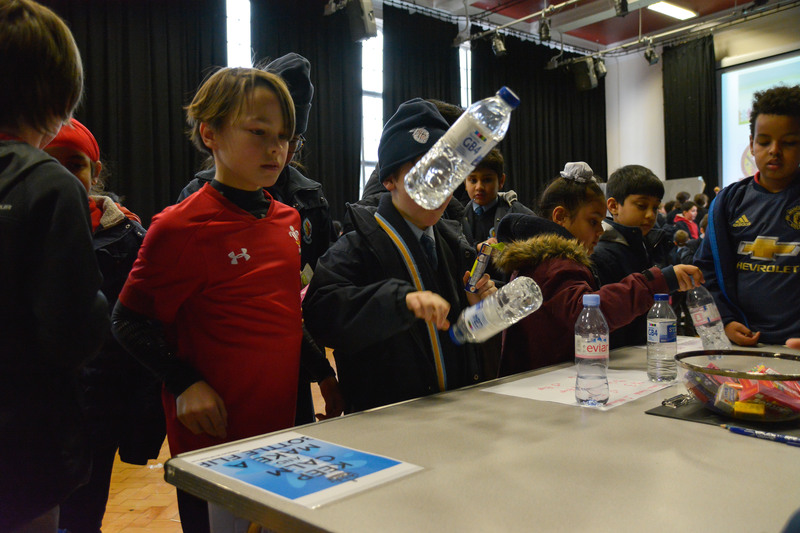 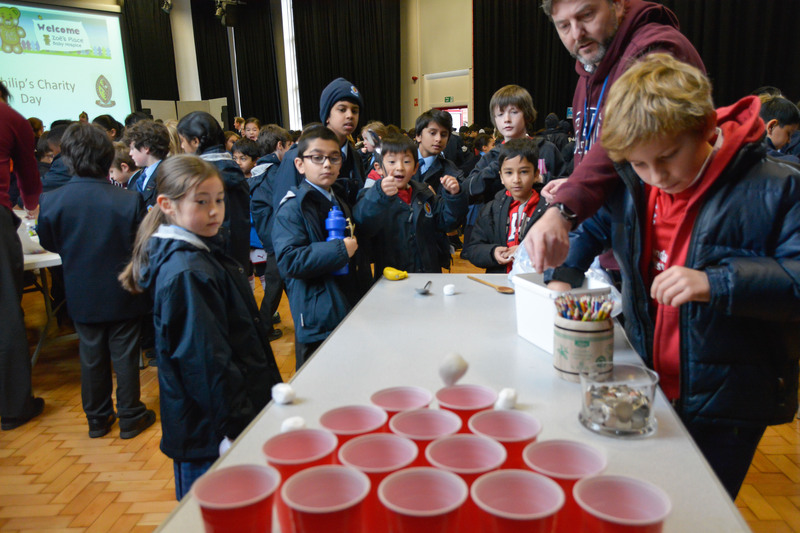 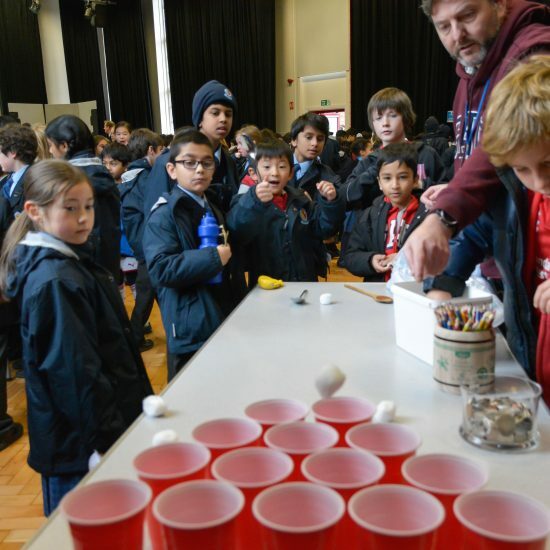 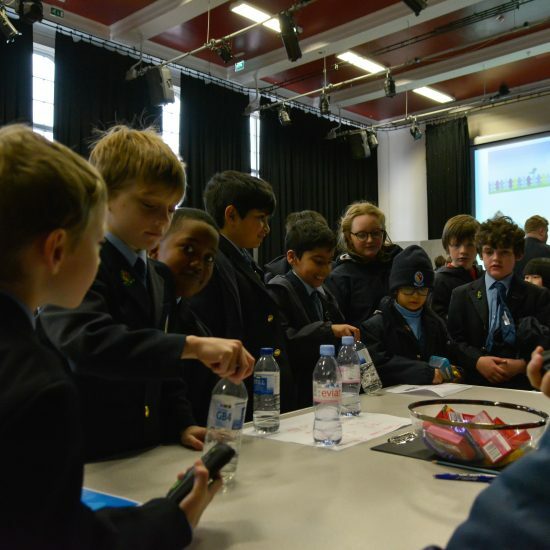 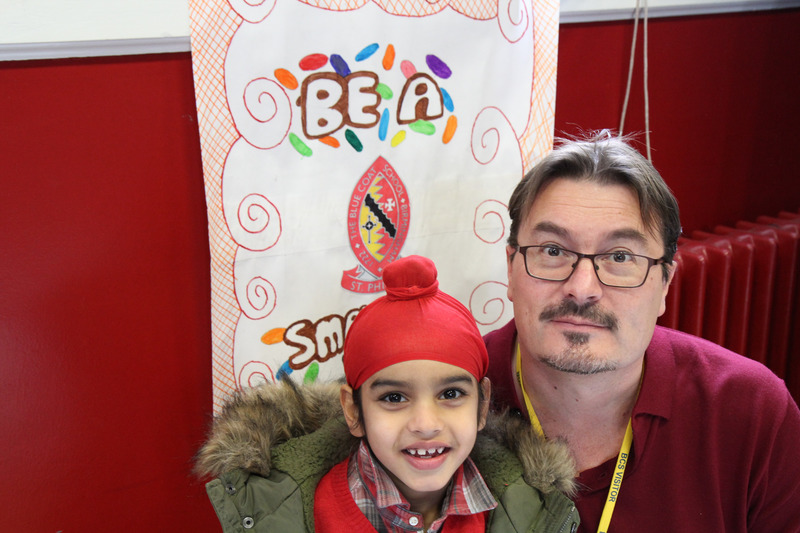 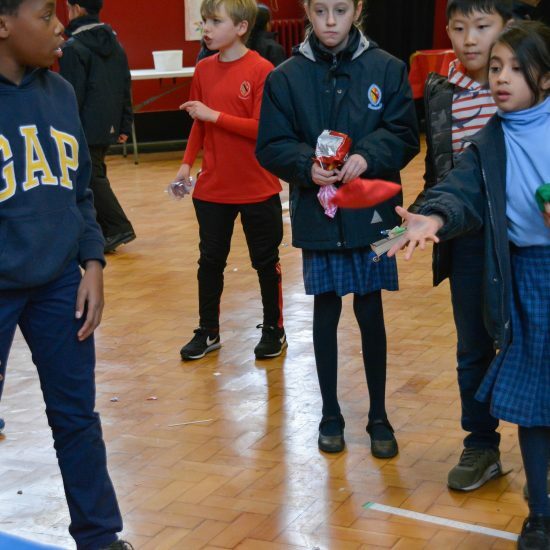 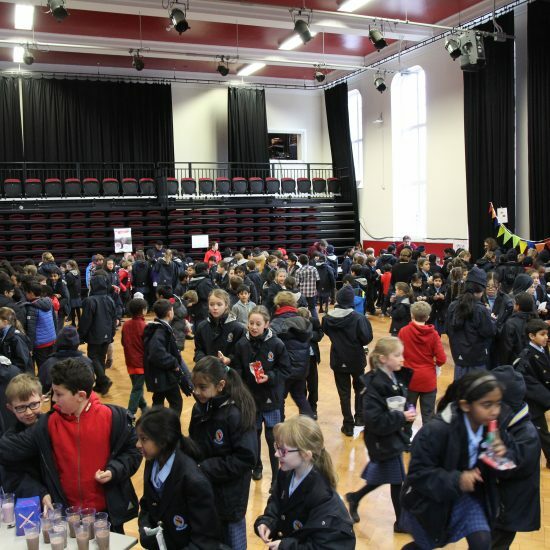 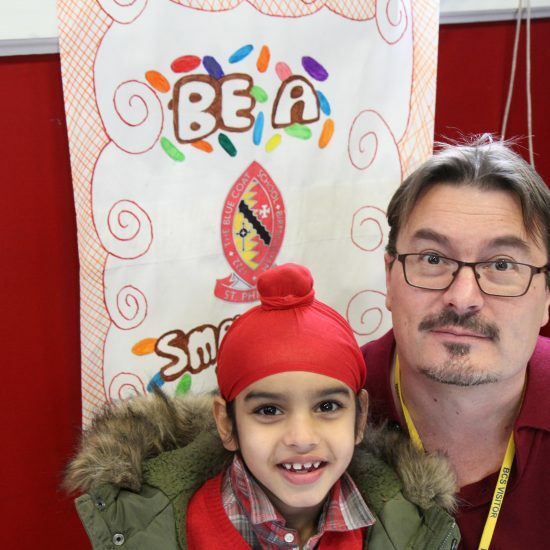 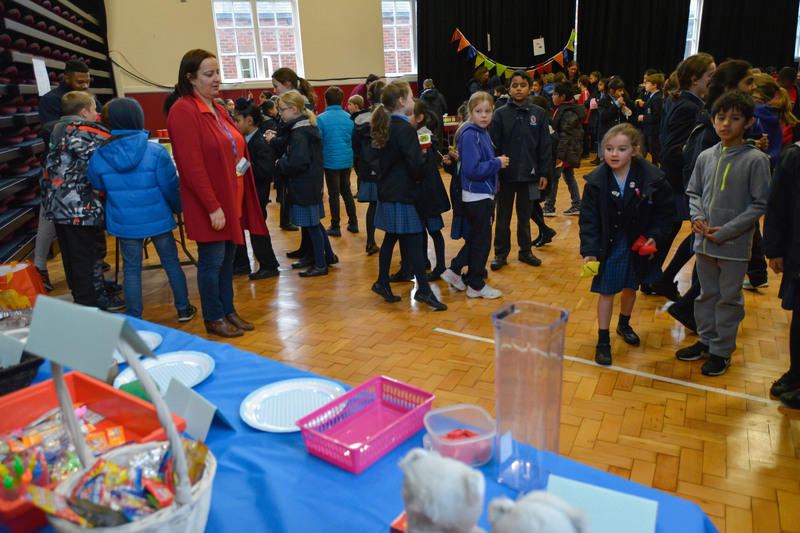 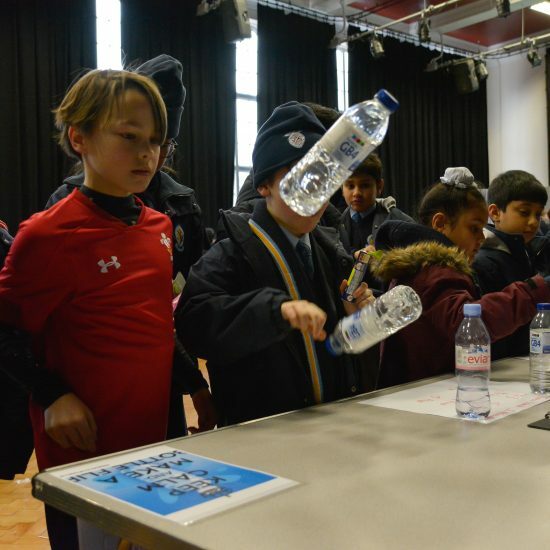 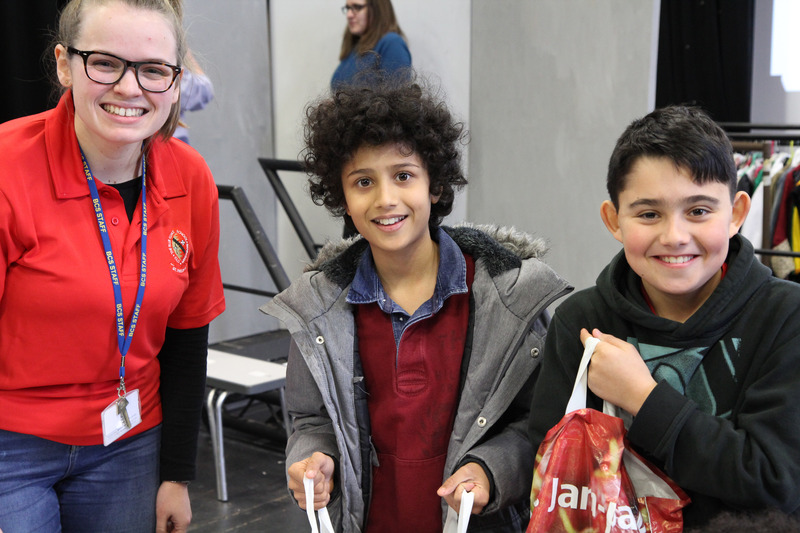 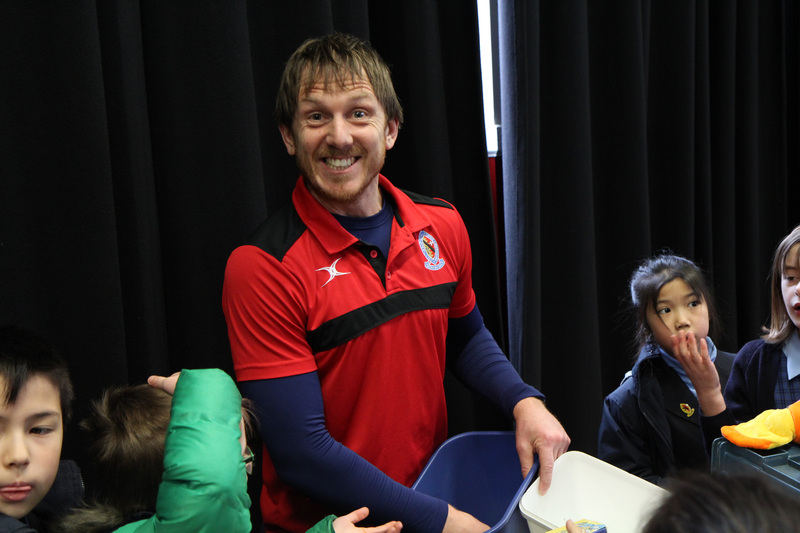 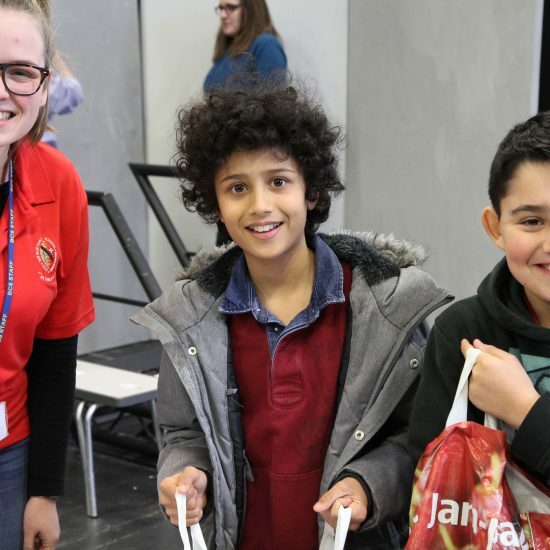 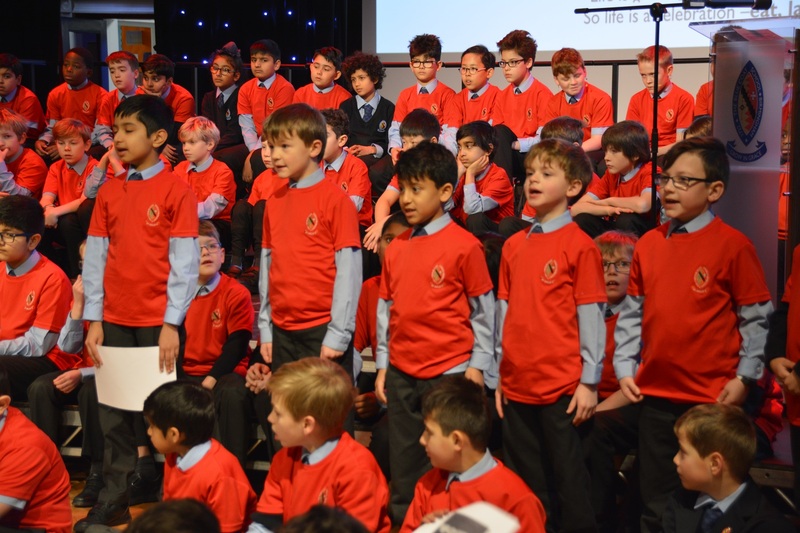 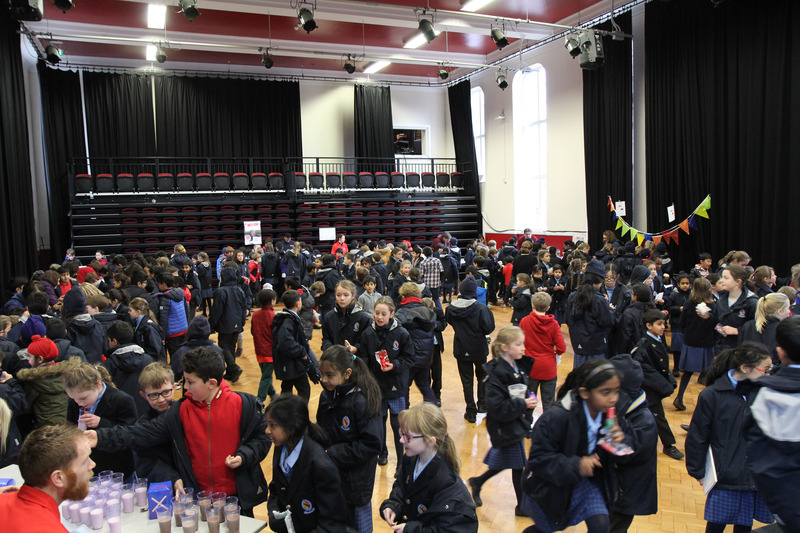 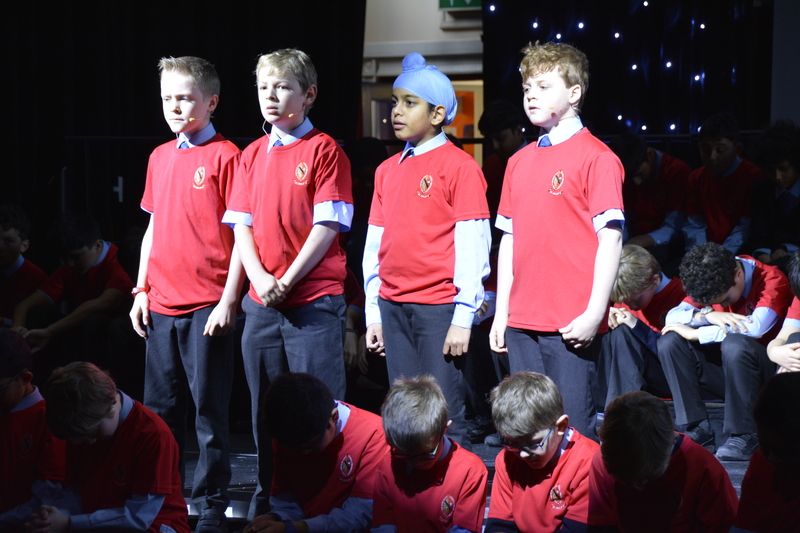 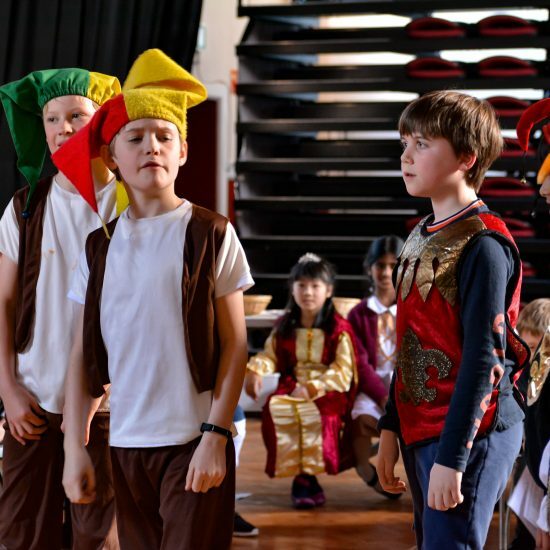 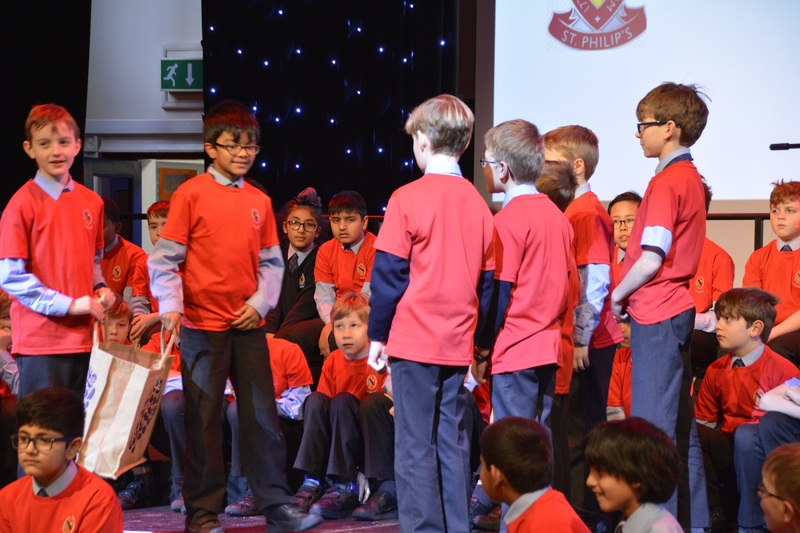 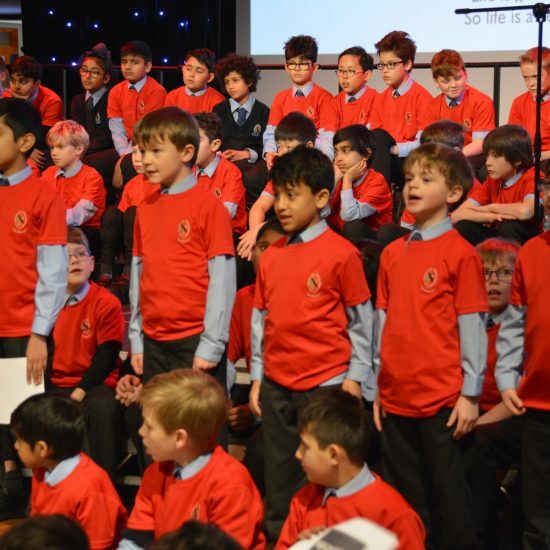 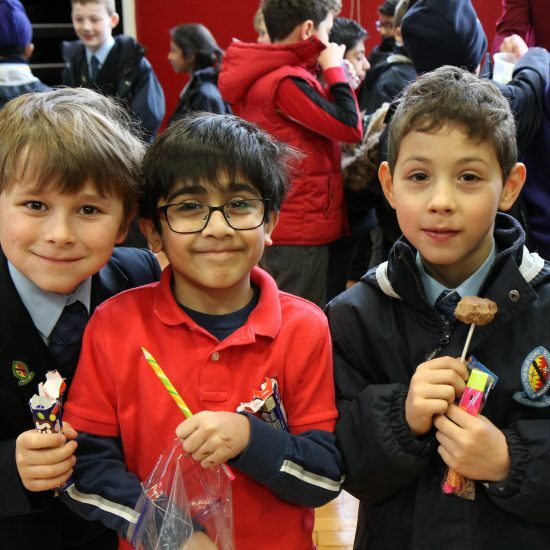 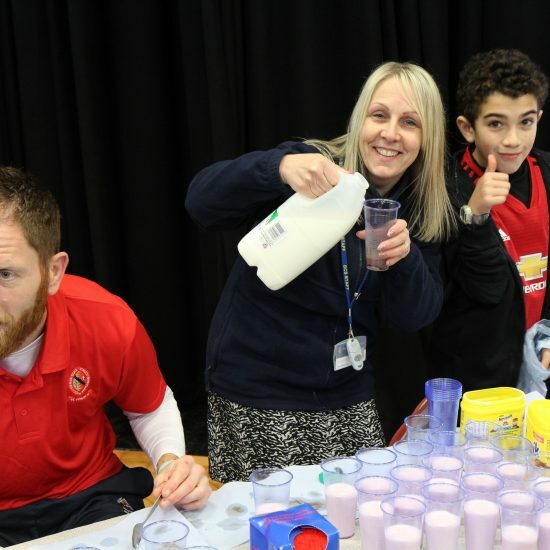 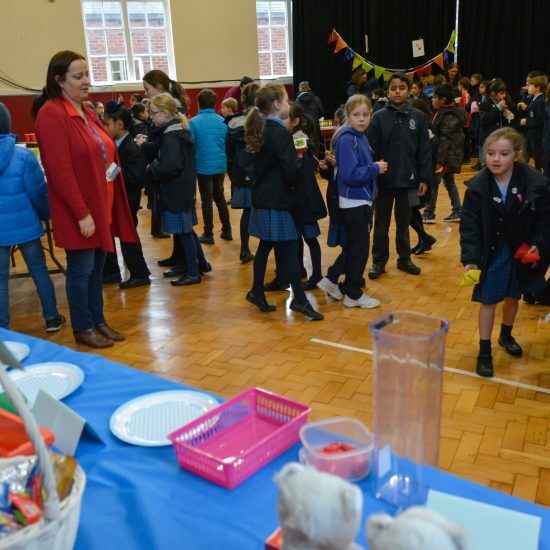 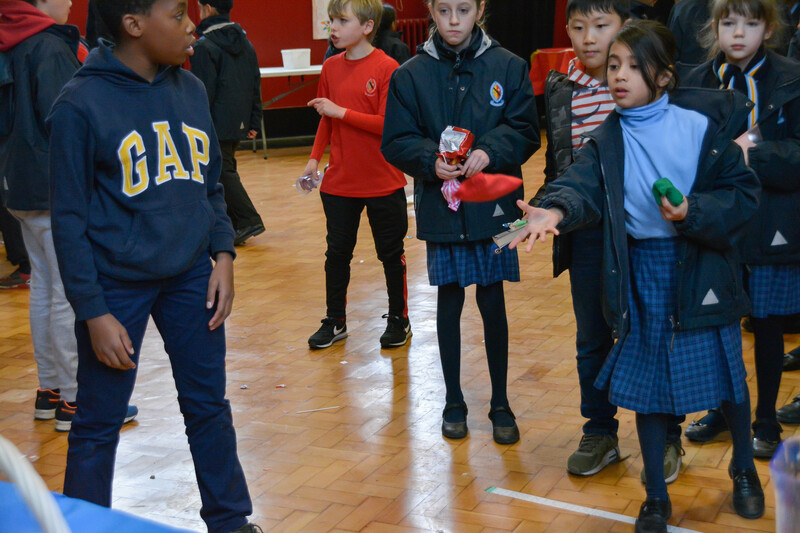 Dressed all in red, the boys held a Charity Fair with stalls and fun for all at breaktime and lunchtime. 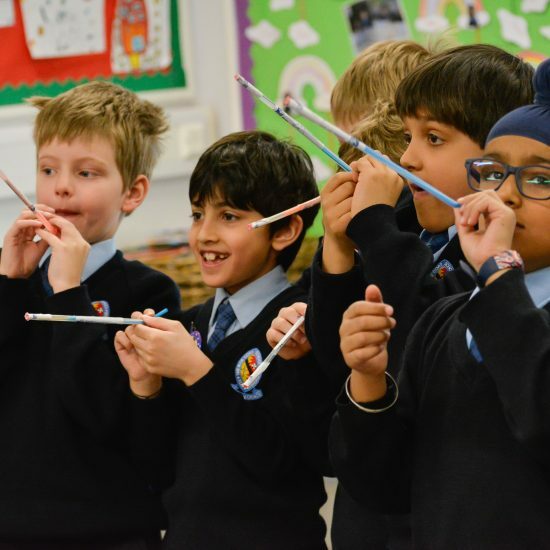 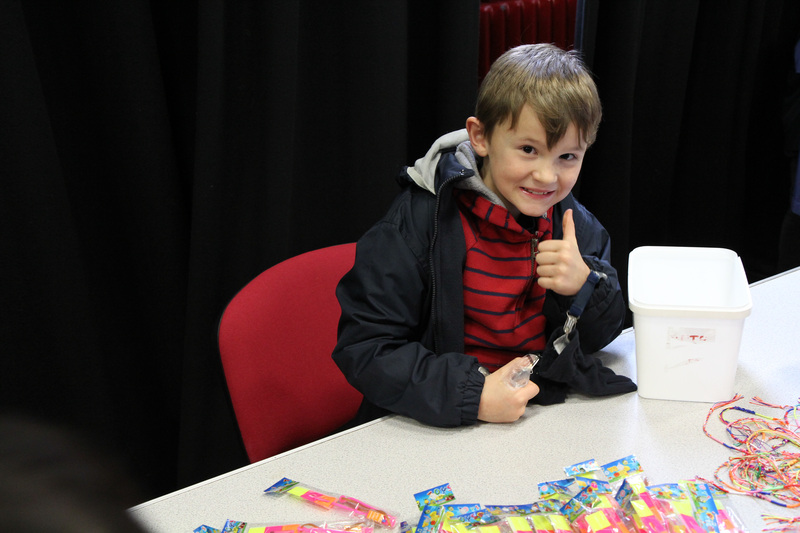 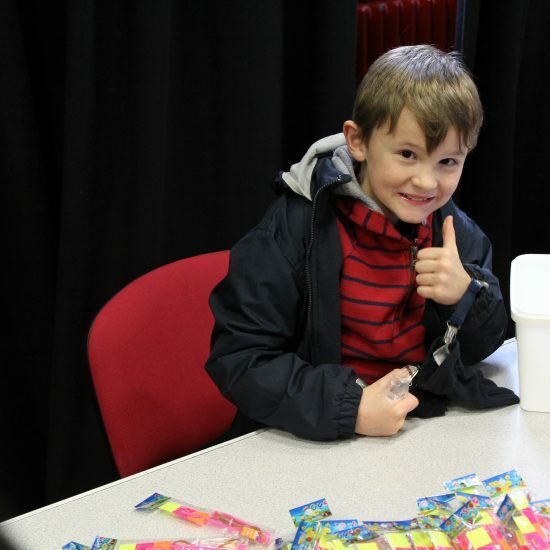 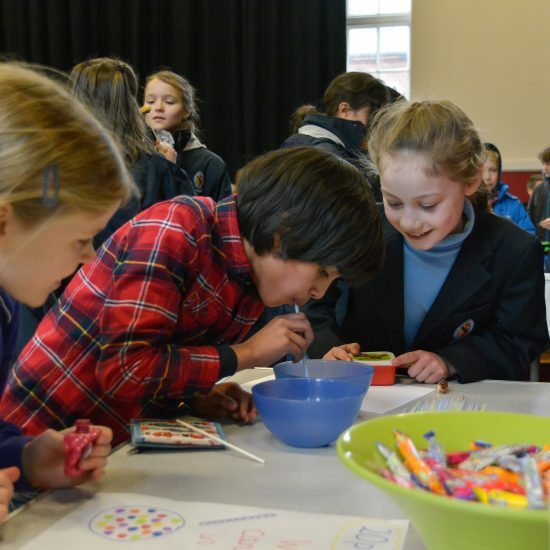 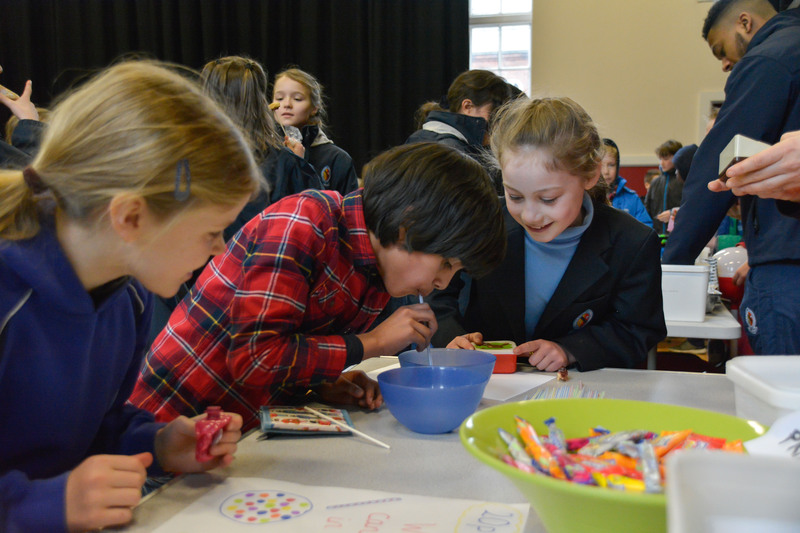 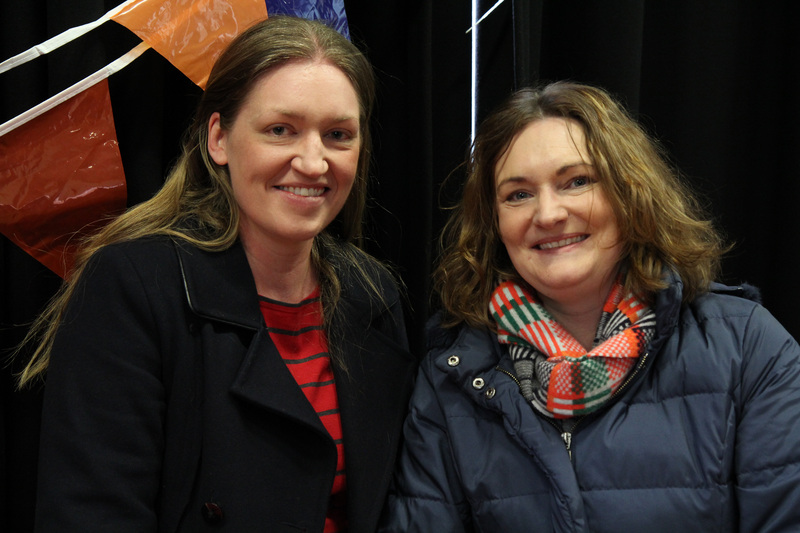 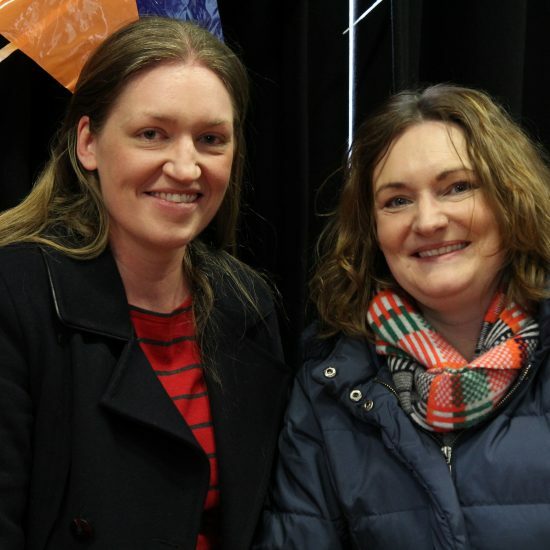 Then it was the turn of the St Philip’s parents who turned the Boardroom into a magical sweet shop after school. 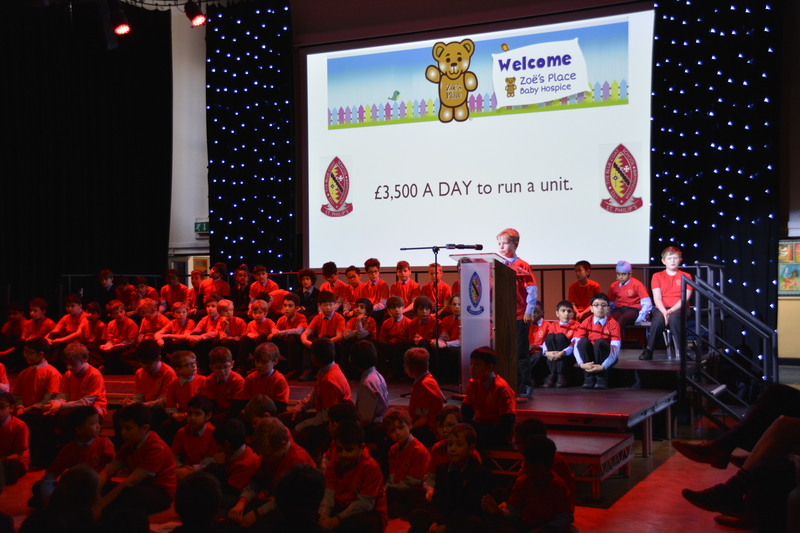 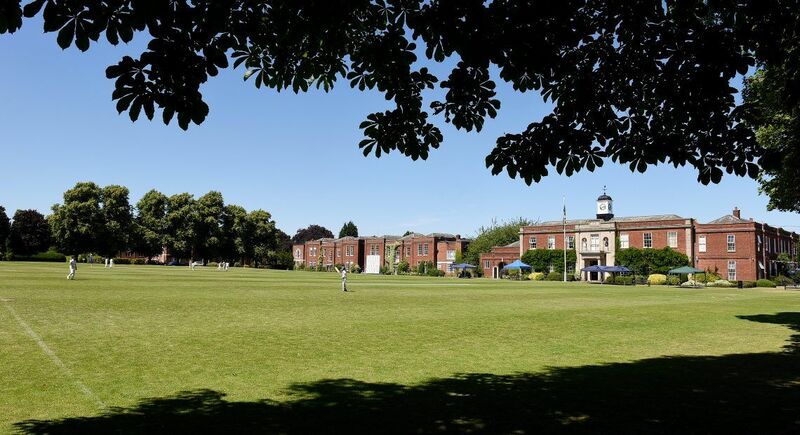 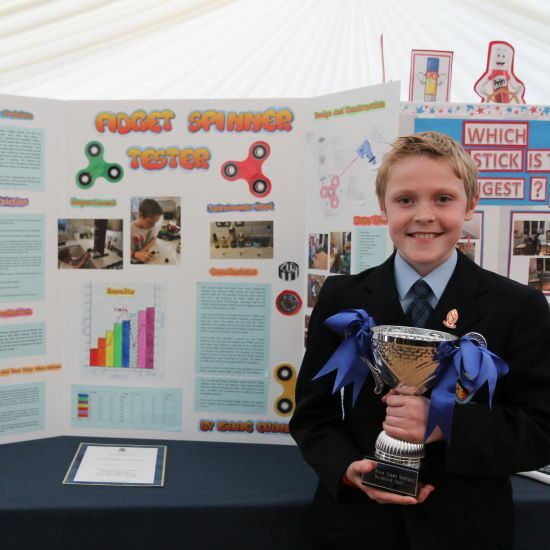 Thank you so much to all the boys, parents and staff who put together such a brilliant day. 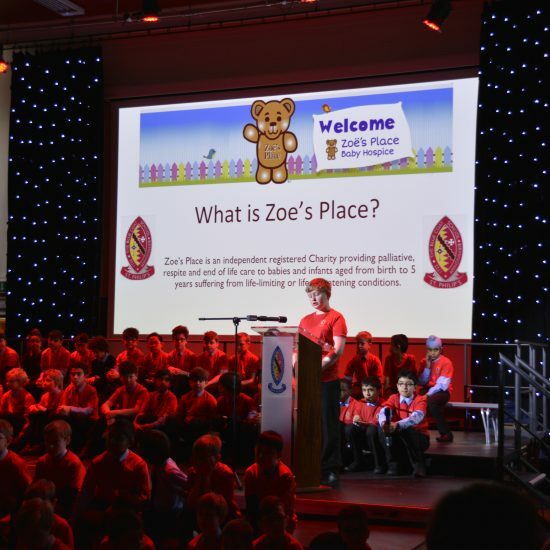 Zoe’s Place, St Philip’s have done you proud! 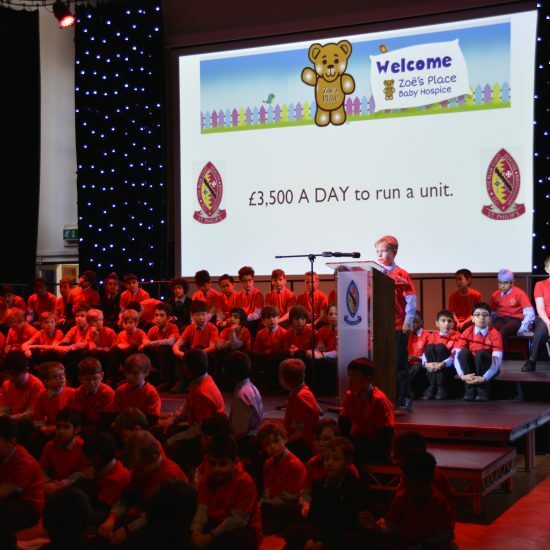 We are so excited to count up our funds and pass on the good news to you of how much we have raised.